For signing in the website, please fill the email and password fields, then click on the Sign in button. If you have forgot your password, you can reset it with the "Forgot your password" page. 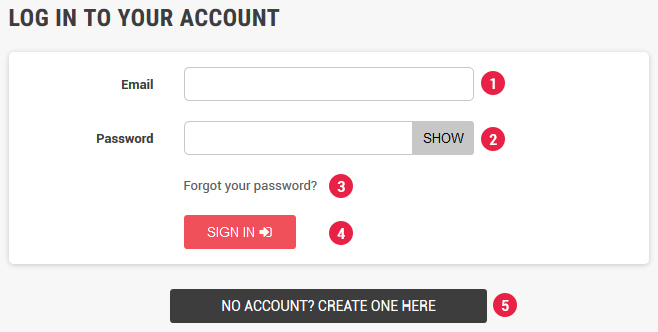 If you have no customer account, please sign in by clicking on the Create account button. Then fill in all the required fields for the creation of your account. You will receive a confirmation email right after.